Royal Vegas casino takes me way back. Founded in 2002, this really is one of the pioneers in online casino gaming. Things have come a long way since then, but Royal Vegas has maintained its popularity and reputation amongst Canadian players as a premium casino offering a complete online casino experience. Powered by industry leader Microgaming, Royal Vegas has over 500 top quality casino games. The Royal Vegas games catalog covers everything from traditional casino favorites to some crazy slots, video poker, scratch games, casual (arcade) games, and more. Royal Vegas currently has 16 progressive jackpots many of which with grand prizes that range between 1 and 5 million dollars! That could be a nice win from a slots spin on your phone. New players to Royal Vegas are rewarded an impressive C$1,200 welcome bonus, and the opportunity to earn more by depositing through a preferred payment method. All in all, it’s clear that this casino continues to set a high standard and we thoroughly enjoy playing here. We love the variety at Royal Vegas. There’s a wide selection of slots blockbusters and huge progressive jackpots, but I also liked their video poker games and the “Casual Games” section. 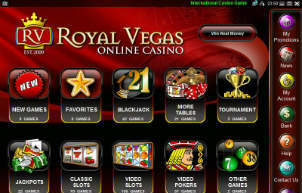 Royal Vegas offers a wide range of banking options for Canadian players. We really liked the “Transaction History” section which lets you track every transfer and bet you make. Royal Vegas rewards every new player with an impressive C$1,200 welcome bonus. The Royal Vegas promotions team seem like a busy bunch with frequent special offers, prize giveaways and a rewarding loyalty program. Royal Vegas is very accessible in terms of customer support and we found their responses to be professional. The Royal Vegas mobile casino has a sleek look to it and the games have been designed to suit any device, making them a pleasure to play when you’re on-the-move. 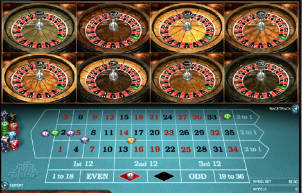 The Royal Vegas casino games selection is extensive with over 500 superb titles divided into different game types. All the games were developed by Microgaming, a leading online gaming software development company. Whether it’s stylish blackjack and roulette tables you’re after, or some spins on a mammoth progressive slots game like Mega Moolah or The Dark Knight, you’ll be more than satisfied by the sheer number, and of course quality, of the games on offer. 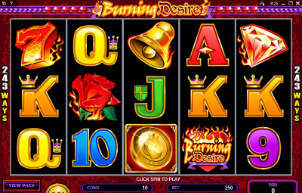 The casino software can be downloaded but that’s not actually necessary to start playing the games. You can access their flash games and play online, and that includes those big progressive jackpot games too. There are lots of safe and easy-to-use deposit options for Canadian players at Royal Vegas casino. These include credit cards (Mastercard, Visa), pre-paid cards, e-wallets (Paypal, Neteller etc.) and online bank transfers. Royal Vegas has a 24-hour processing window for withdrawals. The actual time it takes for you to receive your money will depend upon the transfer method you choose. In general, you can expect to receive your payment within a week. Most e-wallets are great for withdrawals and while Visa holders can withdraw from Royal Vegas, Mastercard will not work for withdrawals at any casino in Canada. The wagering requirement at Royal Vegas casino is 30 times the bonus amount. This is a fairly low amount especially considering the generous welcome bonus offered here. Remember, that like with almost any online casino, Royal Vegas doesn’t regard the wagering on all games to be worth the same amount. Read the bonus terms and conditions that appear on the Royal Vegas website to see the updated wagering amounts per game type. The customer support team at Royal Vegas can be reached by the usual methods of phone, email and online chat, but we were also impressed to find that Royal Vegas support is also available via BBM, iMessage, Whatsapp and Skype. Our experience with the customer service department was completely satisfactory. I guess this is also one of the advantages of Royal Vegas being a well-rooted casino. There’s definitely a sense that things are run professionally and that the support team is knowledgeable. Accessing Royal Vegas via your mobile device couldn’t be easier. All you have to do is click on the “Mobile” button that appears at the top of the Royal Vegas homepage. The mobile version can be enjoyed on iPhone/iPad, Android, and Blackberry devices as well as on smartphones that are powered by Java or Symbian such as the Nokia, Motorola and Ericsson devices. The games on offer via the mobile app are what you’d expect from a quality casino like Royal Vegas. Tomb Raider, Game of Thrones, Thunderstruck II and others are all there and they all look and play great. 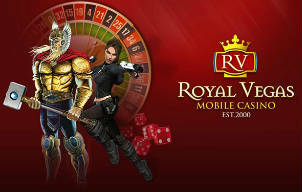 The mobile version links seamlessly with your existing Royal Vegas account so the whole thing is a breeze to manage. There’s also a great loyalty program that’s been created especially for mobile players so you get access to prize draws and other great benefits just by playing. Royal Vegas has stood the test of time as an entertaining and rewarding casino to play at. We really love how neat the design is. The games are always easy to find, even though they’re updated frequently and the red and gold color scheme leads you into that classic casino ambience. If you’re looking for a casino that knows how to pamper its players and has an endless supply of great gaming entertainment, then look no further than Royal Vegas casino. We really think it’s a complete package that will suit the tastes of Canadian casino players.